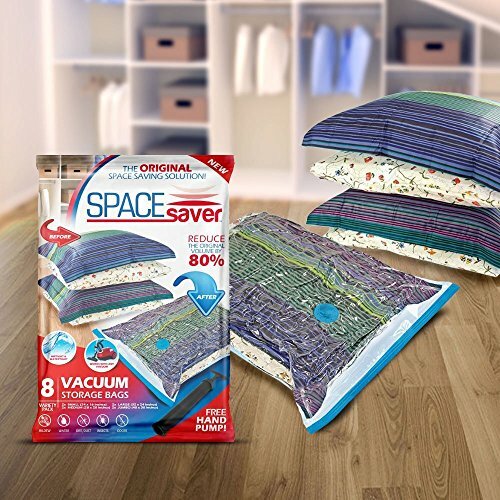 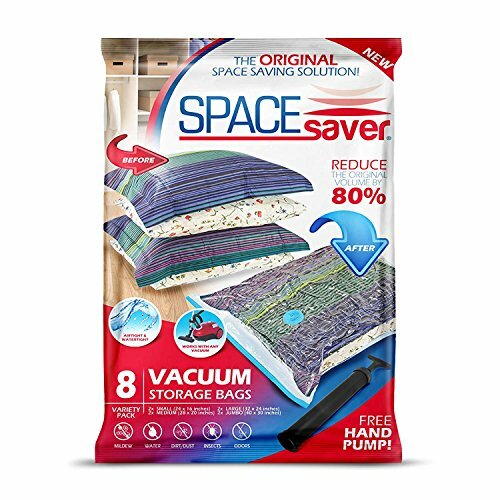 8 x PREMIUM VARIETY PACK OF VACUUM STORAGE BAGS FOR A RANGE OF ITEMS! 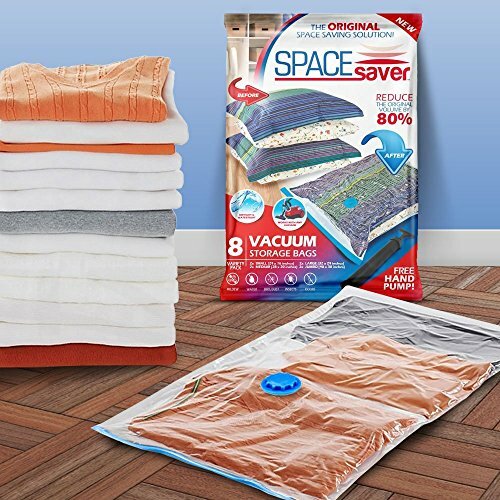 Store away your duvet, bed sheets, towels, blankets, and more! 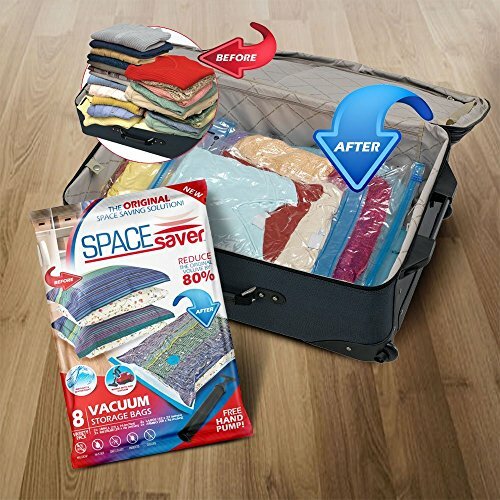 80% more space than other bags on the market! 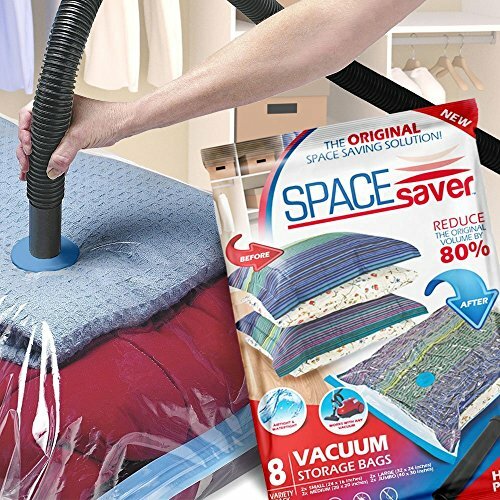 LIFETIME REPLACEMENT GUARANTEE! 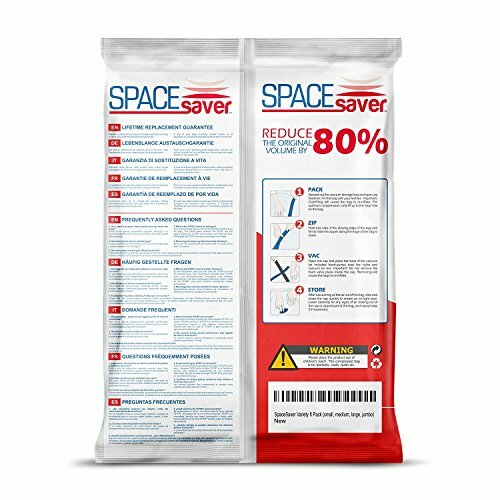 From workmanship to function to anything else, we want you to be TOTALLY HAPPY - if any of the SpaceSaver bags don't hold their seal (ever), simply contact us and we'll rush you free replacements (FOR LIFE!). 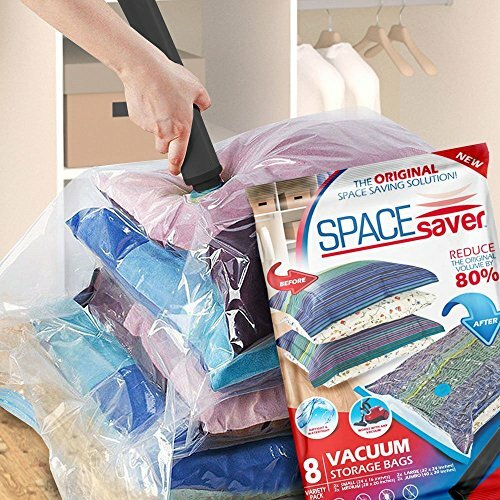 You take NO RISK by ordering today!